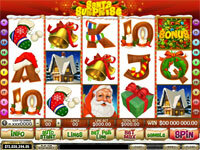 Listed are some of the most popular online slot games that have been introduced in recent times. They are by no means old or forgotten. Some (if not most) still have a large following of players, with some of the slot games player base growing daily. As we all know by now, the 2010 FIFA Soccer World Cup is being held in South Africa. So why not create a slot game based on the world cup and give it an African theme? Well, that's exactly what Microggaming have done! 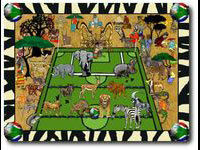 Soccer Safari is a 5-reel, 30-payline comical take on the 2010 world cup. 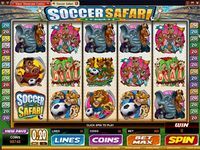 Will the Lion, Elephant, Meerkat or you score big in this great slot game? The city of love, the city of passion, the city of... 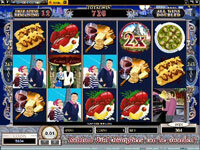 I'm sure you would never had linked Paris to a slot game! Microgaming has done it and the feeling is that they did it perfectly! 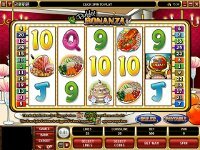 This 5 reel slot has no paylines, instead it has 243 ways to win! How does that work you might ask? We could tell you, but that will just spoil the fun of trying to explore all the ways to win! We will however tell you that there are things like Scatters, Wilds Free Spins and many other ways that will keep you on the winning side! You don't need to be red, have horns (albeit filed off), a tail, a very large gun and a right hand called "The Hand of Doom" to be able to play Hellboy! 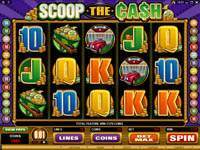 All you need to play this 5 reel 20 payline video slot is the desire to have great fun! 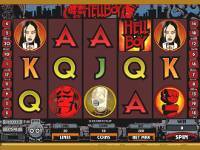 Based on the comic book character of Mike Mignola, Hellboy is making his way into the games section of your favourite Microgaming online casino and he is sure to shake things up quite a bit! Get ready for the adventure that you just can't miss! Get out those thick coats, snow shoes, and warm up with this 5 reel video slot. 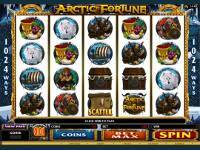 Arctic fortune doesn't have traditional paylines, but does however offer 1024 different ways in which you can win. Many hours have been spent on the design of each and every symbol used in this slot to bring the player the best experience of the Nordic region. Hunt for the treasure and stay away from the cannibals or else you will be invited for dinner - as the main course! 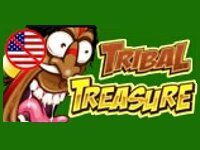 Tribal Treasure has many special features and the amusing and comical graphics will keep you entertained for hours! 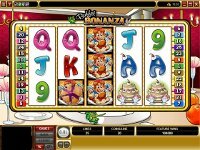 If you regularly play slots online it probably wouldn't surprise you to learn that the Fruit Mania slot machine has a fruity look to it. The five-reel, five-pay line fixed bet slot machine is just bursting with flavour. The game screen is full of fruit and the symbols are full of fruit, in fact the whole thing has more fruit than Del Monte. 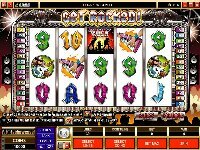 The game has a fixed limit of $0.25 per pay line and you can bet five coins per line so the maximum bet is a timid $1.25 per spin, so this game is aimed at the people with the lower bankrolls. Despite the low amounts you can still take home a nice little jackpot win of 5,000 coins. The game has a scatter symbol and it is a cocktail glass. In order to net yourself a nice cash prize you need to hit scatter symbols anywhere on the screen. The sun symbol is the bonus symbol and if three or more suns are hit across the screen then the bonus round is activated. During the bonus round you can choose one fruit per row and each fruit has cash prizes that are added to your account. 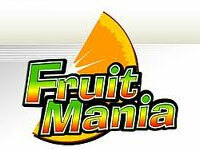 Fruit Mania also has a Betfair slots progressive jackpot. Each time you spin a certain percentage of your fee is added to the jackpot and it is won when you hit five cherry symbols playing for maximum coins. The game does not have the graphical depth of some of the other five-reel, five-pay line games on the market but it is certainly worth a whirl. If you play online casino slot games regularly you will have noticed that there are a variety of Wheel of Fortune slot machines available. 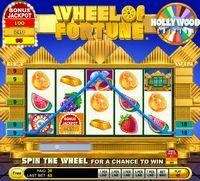 One of the versions is called Wheel of Fortune: Hollywood and it is a five reel, five-pay line machine where you can bet anywhere between one and nine credits per pay line. 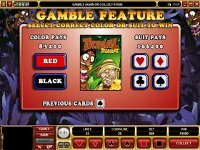 If you don't want to play roulette online for a few hours and fancy a entertaining change, this game combines the thrill and excitement of slot machines with the glitz and glamour of tinsel town. The game has two special play systems. The first is called the Bonus Jackpot. 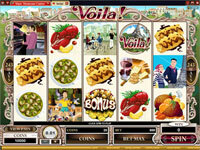 In the upper left corner of the screen you will notice three Bonus Jackpot accumulators. Every time a Bonus Jackpot symbols appears on a pay line the number of credits displayed on the symbol will be added to the Bonus Jackpot Accumulator of the same colour of the symbol. These Bonus Jackpots are yellow, orange or red. The red jackpot is the juiciest because credits are added as a multiple of 2x. 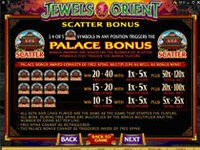 You can win a Bonus Jackpot only by playing the Wheel Bonus. 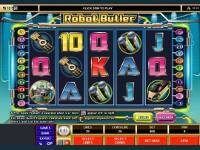 Getting bonus symbols on reels 1, 2 and 3 of a pay line accesses the Wheel Bonus. You spin the wheel to earn your first bonus award. Then after that first spin four parts of the wheel are replaced with bankrupt slices. You can then either take your win or spin again. By spinning again you have the chance of winning more prizes or landing on a jackpot slice itself. Just beware, because if you get too greedy and have too many spins you could end up on the bankrupt slice. Going bankrupt means you will lose all of your bonus winnings and be dumped back unceremoniously to the main game area. It's the season of giving! And it of course it wouldn't be complete if Santa wasn't around! 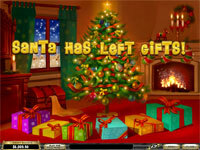 The new slot game Santa's Suprise has been launched, just in time for Christmas I might add, and the Ho-Ho-Ho's are plentifull. 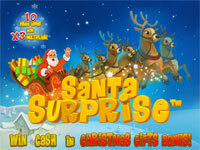 With its 20 paylines and 5 paylines, Scatter Bonus and gifts galore to be found under the Christmas tree, this slot game will definitely be a massive hit. So, will Santa be leaving you some great bonusses and jackpots? Everybody needs to have a butler! There, I've said it! Well, now with Robot Butler, everyone can! 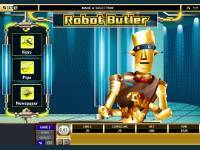 This 5 reel 20 payline video slot introduces Robbie, the robot butler, who's sole purpose is to help you maximise your winnings! Get Robbie to find an item during the Robot Butler feature. If he does, you win big! Even if he doesn't, you still win. Food! Glorious food! 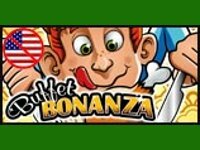 With a name like Buffet Bonanza, what else would this slot be about? With the festive season on our doorstep, what better way to get you in the mood than the classic tale of Ebenezer Scrooge. Who transformed from a stingy old miser to a kind hearted, generous warm soul. 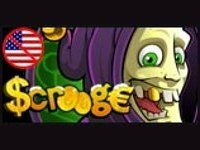 And Scrooge will even remind you of the days left to Christmas, and with the added feature of being able to click on any symbol that makes up a winning payline, you will either receive a free spin or a day on the calendar. If your calendar reaches the 25th of December, then the free spins that have accumulated are triggered. 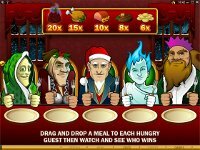 Then how about a Christmas dinner bonus screen, were you can fill your stockings with some great winnings! They are tough, they can handle an axe, and they cough up hairballs every now and again. They are the Lumber Cats! 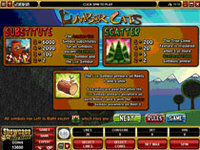 This new slot game from Microgaming puts a comical twist on the lumber industry with the launch of their new 5 reel 20 line video slot game. With a respin feature triggered by the log symbol on reels 1 and 5 and a Lumber Cat symbol on reel 3 with some great winning possibilities. Then there is also the fun tree climbing competition that is triggered when you see 3 or more scattered tree symbols on the screen. 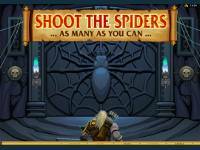 Choose the best climber and pocket some great bonuses! The orient is known for its vibrant colours, extravagant palaces and now for their Jewels. 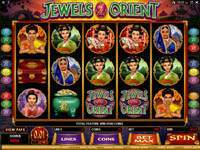 The new Jewels of the Orient video slot game from Microgaming is dedicated to the beauty of the Orient. Portraying the captivating prosperity and wealth of the royalty in the Orient. With 5 reels and 9 paylines and many bonus features, and the massive 120x multiplier that is just waiting to be unleashed, you will also be sharing in the wealth and prosperity of the Orient! Bring the spades, bring the wheelbarrows, heck, bring anything that you can! The cash is ready to scooped! 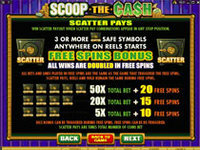 Scoop the Cash is a newly launched Microgaming video slot that offers 5 reels and 25 paylines. Offering 3 different ways to win in the exceptional bonus round, with an opportunity to win up to a 100 times your total bet. 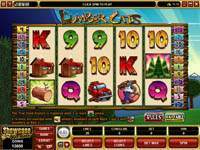 Land with 3 dice symbols on reels 2, 3 and 4, and get ready to scoop as much cash as you can! 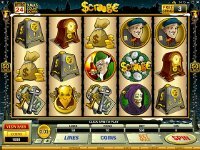 Free spins can also be triggered when you land 3, 4 or 5 scattered safe symbols on the screen. 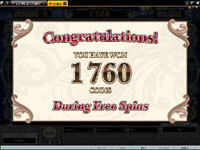 The amount of free spins range from 10, 15 to 20. Remember those nights at the great rock concerts? The lights, the music and the great atmosphere? Want to relive it? Then Rock On! 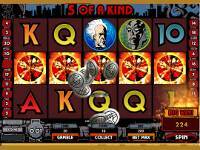 is the slot game for you. Rock On! 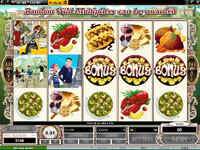 is a 5 reel 30 payline slot game with wild and scatter symbols, free spins, multiplier and two bonus opportunities. 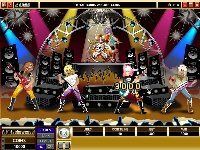 Get the lead singer to appear anywhere on reels 2 and 4 simultaneously and unlock the Pick 'n Win feature. Pick a band member, enjoy the solo and collect the reward. Get 3, 4 or 5 Stage symbols on any reels, and get 10, 15 or 20 free spins with a 3x multiplier (the stage symbol is the scatter in the game). Want to visit a Spa whenever you like? With the new Wealth Spa, the best of two worlds is combined - a relaxing Spa atmoshpere and the opportunity to win big! 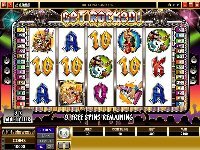 This 5 reel 20 payline slot game is where the player gets to earn gold tokens through a thrilling mix of Wilds, Multipliers and Scatter, and the more gold tokens, the better the bonus possibilities. So with a Hot Stone, Hot Wax (quite funny!! ), Hot Exotic Oil Bath and of course massages this Spa will be one of the most relaxing and profitable areas you will ever find yourself in! A frozen landscape, lonely figures moving almost unnoticed, this slot' game brings you the beauty of the northern wilderness winter in breathtaking graphics. This is where the wolf packs rule! From the 5 reels that have 50 paylines across them. They are scavenging for winning opportunites! The theme of the game might be frozen, but the winning combinations are hot! 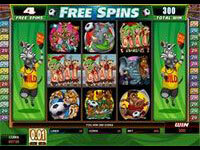 Wilds, Scatters, Free Spins, Multipliers and the Gamble feature make this an exciting game with many opportunities. The Howling Wolf symbol is wild, and can create all sorts of winning combinations. Plus the wild is stacked during Free Spins, thus increasing winning combos like you can't believe.